REGINA -- Saskatchewan's Crown-owned electric utility has made an agreement to buy more hydroelectricty from Manitoba. A term sheet providing for a new long--term power sale has been signed between Manitoba Hydro and SaskPower which will see up to 215 megawatts flow from Manitoba to Saskatchewan beginning in 2022. 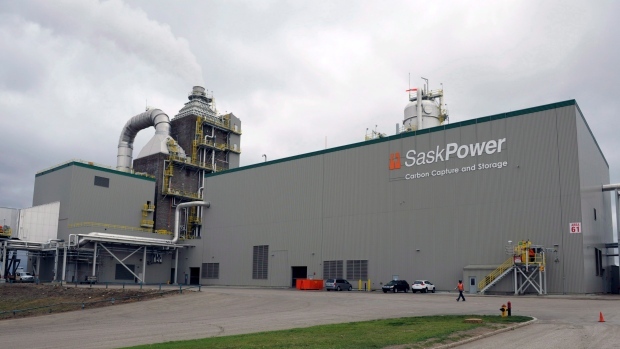 SaskPower has two existing power purchase agreements with Manitoba Hydro that were made in 2015 and 2016, but the newest one announced Monday is the largest. SaskPower President and CEO Mike Marsh says in a news release that the clean, hydroelectric power represents a significant step forward when it comes to reaching the utility's goal of reducing greenhouse gas emissions by 40 per cent by 2030. Marsh says it's also reliable baseload electricity, which SaskPower will need as it adds more intermittent generation options like wind and solar. SaskPower says a final legal contract for the sale is expected to be concluded by mid-2019 and be in effect by 2022, and the purchase agreement would last up to 30 years. "Manitoba Hydro has been a valued neighbour and business partner over the years and this is a demonstration of that relationship," Marsh said in the news release. The financial terms of the agreement are not being released. Both parties say the sale will partially rely on the capacity provided by a new transmission line planned for construction between Tantallon, Sask. and Birtle, Man. that was previously announced in 2015 and is expected to be in service by 2021. "Revenues from this sale will assist in keeping electricity rates affordable for our Manitoba customers, while helping SaskPower expand and diversify its renewable energy supply," Manitoba Hydro president and CEO Kelvin Shepherd said in the utility's own news release. In 2015, SaskPower signed a 25 megawatt agreement with Manitoba Hydro that lasts until 2022. A 20-year agreement for 100 megawatts was signed in 2016 and comes into effect in 2020. The deals are part of a memorandum of understanding signed in 2013 involving up to 500 megawatts.